Horror and collectibles have a long tradition together. Ever since monsters took to the screen, young and old fans alike have wanted to see them immortalized in miniature form. One of the most famous early examples would be the Aurora model kits of the Universal classic monsters. Stephen King, Clive Barker and many more of the genre’s heavy hitters admitted to collecting these growing up. Horror toys have evolved over the years in many different forms, from dolls to action figures and even plushies. Every kid wants their favorite monster, and it’s a good thing, too. It allows them to have some semblance of control over the things that they fear. Having a Freddy toy or owning a plastic Freddy glove gives a kid a sense of empowerment over something that might otherwise scare them so bad they can’t even sleep. Of course, like every business, things don’t always go well and there are plenty of good ideas that never make it to the consumer market. 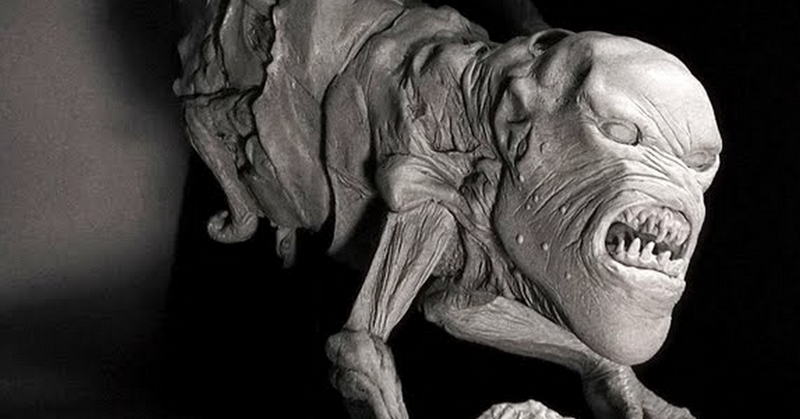 Here are some horror toys that never even made it to the shelves. This set was supposed to be a part of SOTA’s Now Playing Series 4. Unfortunately, when the entire fourth series got the ax this figure was no exception. With a new Tremors on the way, fans have hoped to finally see a figure to commemorate the series, but this is about as close as we are probably ever going to come. First advertised in 1999, five years before the movie’s actual release, Full Moon Toys promised a Puppet Master vs. Demonic Toys set that would feature the first-ever toy incarnations of the Demonic Toys and new Puppet Master figures that would have cybernetic enhancements. These figures were even supposed to have an animatronic component, although how they planned to execute that I have no idea. But Full Moon went bankrupt and resurfaced as Full Moon Features, Full Moon Toys disappeared completely and Puppet Master vs. Demonic Toys was eventually made by the SyFy Channel. The Engineer, also known as the Wall Walker, is the disfigured monster that chased Kirsty through a long corridor in the first Hellraiser. NECA produced a very successful line of Hellraiser figures in the early 2000’s but they were nonetheless cancelled before they could get to every character and scenario they had in mind. The Engineer was going to be a massive thing that would tower over the other toys, but the series came to an end before the toy could be released. 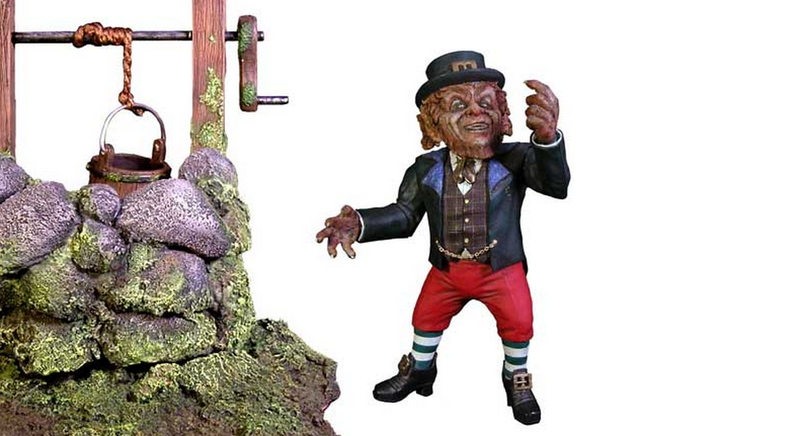 The Leprechaun was supposed to make his long-awaited toy debut in SOTA’s Now Playing Series 4, like the Tremors set. The figure was insanely detailed and featured an extra head to give the melting effect of the first film’s ending. Early pictures won over fans but unfortunately the whole line was ultimately cancelled and there has been no movement on a Leprechaun figure since. 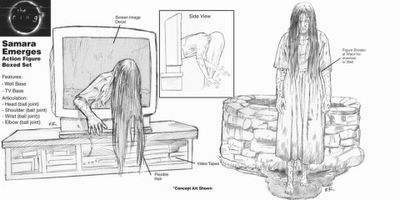 Samara was supposed to be a part of NECA’s Cult Classics series, but the plans for her inclusion in the line-up ultimately fell through. Even though the figure had been designed and a prototype had been made, it was licensing that ultimately held this one from ever making it to stores. It’s a pity, too, because there definitely aren’t enough toys based on the female horror icons. Herbert West has had a hell of a time trying to get immortalized in plastic. 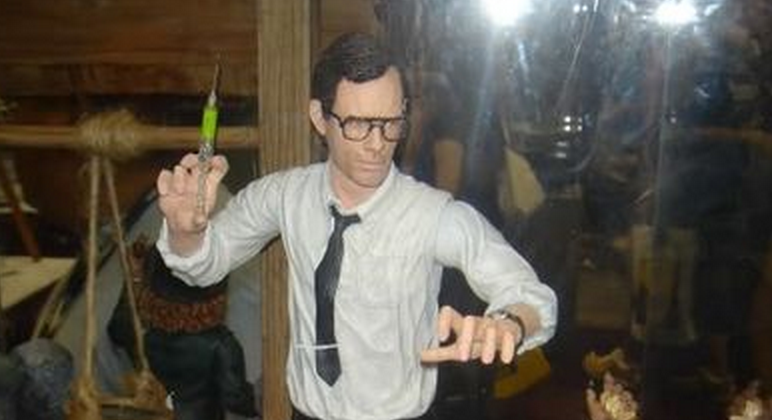 There have been a few different attempts at Re-Animator figures and almost all of them have fallen through. This was a cancelled SOTA toy from the same lineup as Tremors and Leprechaun. It would have been the first true Herbert West action figure, but sadly it was not meant to be. It’s a shame because this was a highly detailed collectible that would have stood up nicely beside all the other figures based of horror’s classic icons. Like Freddy and Jason, Leatherface has had a surprising amount of success on toy shelves. There have been several toys based on the original Texas Chain Saw Massacre and a few based on the remake and Texas Chainsaw Massacre: The Beginning as well. In Leatherface, the titular character sported a very different look from the yellow apron and dinner suit he wore in the original. Fans either love or hate the look. Either way, it’s a good excuse for a toy. There was a very positive buzz when pictures of the prototype were released, but it was eventually cancelled before release. In addition to contributing to Wicked Horror, Nathaniel Brehmer has also written for Horror Bid, HorrorDomain, Dread Central, Bloody Disgusting, We Got This Covered, and more. He has also had fiction published in Sanitarium Magazine, Hello Horror, Bloodbond and more. He currently lives in Florida with his wife and his black cat, Poe.